At around 30km long, Malta may be just a dot on the world map, but as can be testified by the two million odd tourists that visit the islands every year, there is no shortage of things to see. From megalithic temples to thriving local traditions in over 60 towns and villages that dot Malta, the sights and sounds of this Mediterranean island will capture your imagination. Band clubs are the social gathering place for Maltese in the village core. Public gardens give some respite from the stifling summer heat and heavily urbanised towns. Museums and historic buildings document the rich history of an island in a strategic marine crossroad. 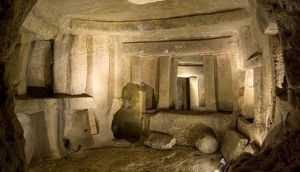 The oldest freestanding prehistoric structures found anywhere in the world leave visitors in awe. Churches, chapels, batteries, forts, shelters, theatres, palazzos and many other landmarks are found across all Malta and, at most, just a short drive away! Teatru Manoel, built in 1732 by Grand Master Antonio Manoel de Vilhena, and designed to provide Honest Entertainment to the Public, has gone through a lot of changes in..